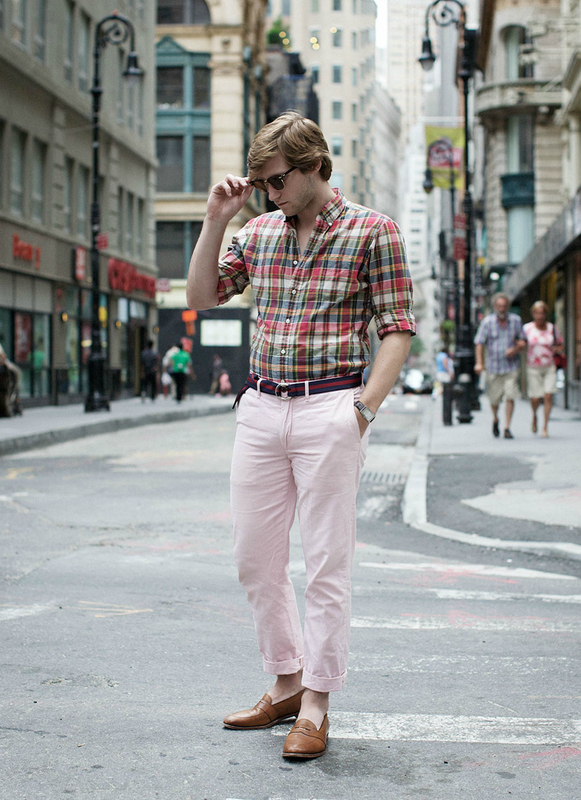 HOW TO WEAR PINK A TROUSER - on #AskDeluxshionist hmmmmmmm exactly like the picture above? lol. A friend of mine asked me after he saw me wearing the yellow mustard pants on the street "How could you wearing such a bright pants like that?" and I was like, boy...... just wear it and walk. I was wearing it with my green army jacket. It's cliche and (most of) men in this country are experiment-less with mixing colors, fabrics, cutting and then make a good looking proportion. In this case pink is soft, sweet and feminine dreamy colors whatever kind of pink it is, because there are more than 20 shades of pink in its color spectrum. So if you think that wearing the same color is too risky, then put something rough for the top and the rest. Me personally, I am not really into fuchsia, I love pink almost white at Givenchy or the lightest form of rose pink; for trouser or shirt that I am looking for at this moment (like this Dolce & Gabbana Pink Shirt). Because I have a lot of blue/navy clothes and an outerwear, I think they are a good combo, but you can see other alternative, even the classic twill jacket in brown is suits perfectly, then think about grey too. 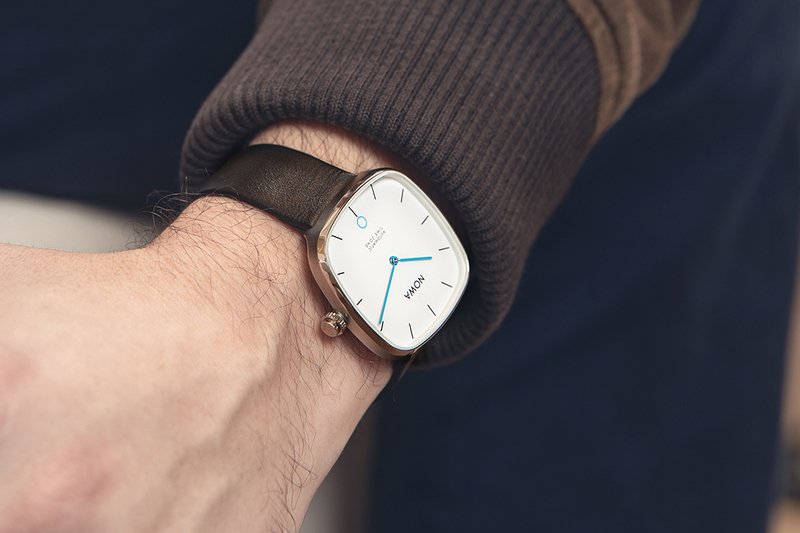 Add also some masculine details like cuff-link and watch with strap in black patent leather. It is also applies too other colors, like yellowish or greenish (in my opinion so far). i really like pink trouser!! so stylish! 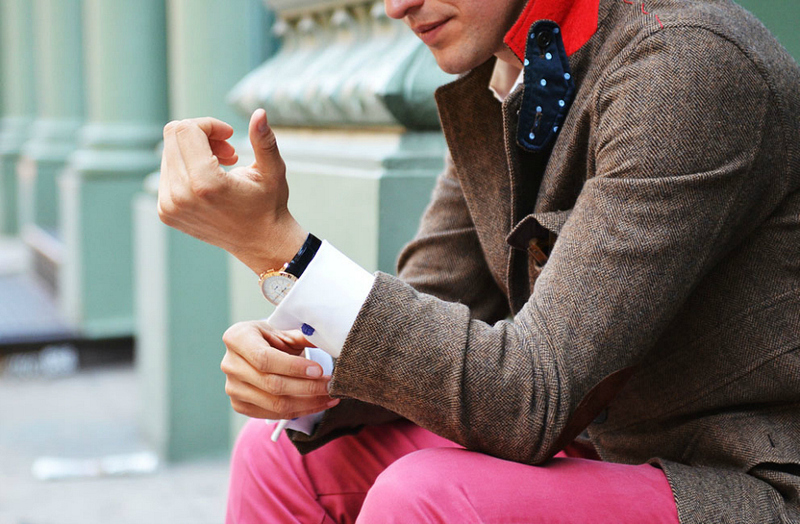 I'm not that into pink trousers worn by men, but I have to say I do like it styled this way!